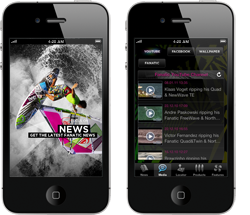 Fanatic and NorthSails follow the latest software development and are launching an application for the iPhone. Both apps will include Push News, Social Media, the current product range, wallpaper functions, locator and a converter function. Both apps are already available in the iTunes App Store.